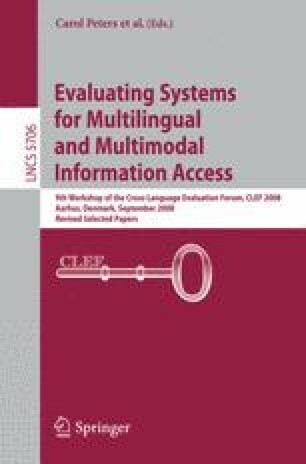 This paper describes Ihardetsi, a question answering system for Basque. We present the results of our first participation in the QA@CLEF 2008 evaluation task. We participated in three subtasks using Basque, English and Spanish as source languages, and Basque as target language. We approached the Spanish-Basque and English-Basque cross-lingual tasks with a machine translation system that first processes a question in the source language (i.e. Spanish, English), then translates it into the target language (i.e. Basque) and, finally, sends the obtained Basque question as input to the monolingual module.